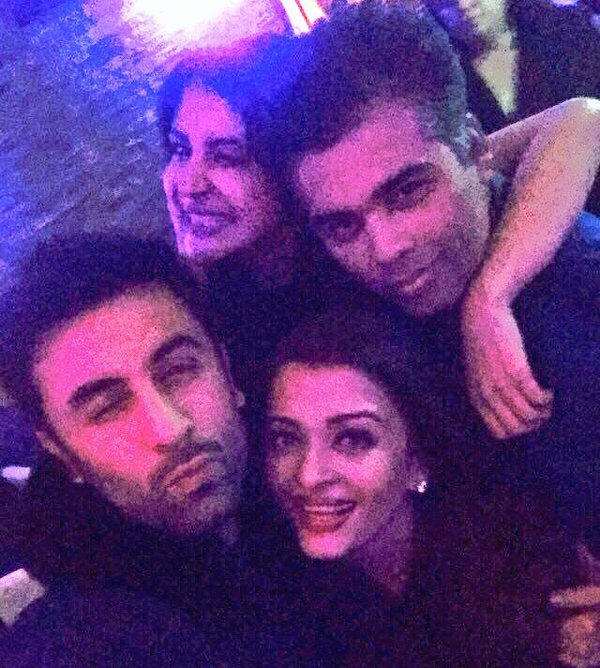 The "Ae Dil hai Mushkil" Selfie is here! The "Ae Dil hai Mushkil" Selfie is here! Home > ranbir kapoor > The "Ae Dil hai Mushkil" Selfie is here! The "Ae Dil hai Mushkil" Selfie is here! For the first time Karan Johar have revealed a picture from the sets of Ae Dil Hai Mushkil. The picture is taken in the night time & it looks like Ranbir Kapoor have clicked it. The selfie features Aishwarya Rai Bachchan, Anushka Sharma along with Ranbir Kapoor & Karan Johar. From the time Karan tweeted it, the topic Ae Dil Hai Mushkil started trending on micro-blogging site tweeter. Ae Dil Hai Mushkil is an upcoming Indian romance film directed and written by Karan Johar. The film will star Aishwarya Rai Bachchan, Ranbir Kapoor, Anushka Sharma and Fawad Khan in the lead roles, and is slated to release on the Diwali weekend in October 2016.